The most common aspect of internet marketing is email marketing. Email marketing campaign is the periodical delivery of you company’s newsletters, regarding goods or services, special offers, discounts, events and many more, that may interest your clientele. In future post we will discuss about the design and content of emails, and the e-mail delivery platform, which intros.gr provides, as well as the statistics that we must have through the platform in order to adjust our email marketing campaign. Newsletter can help you stay fresh in the minds of your audience. The communication through a newsletter is direct and focused on a specific target group. 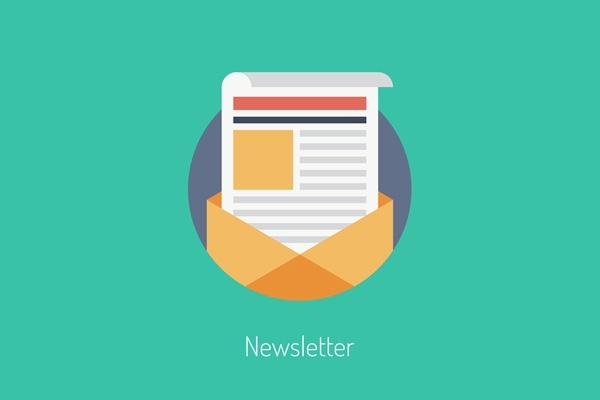 A well designed and developed newsletter is always welcomed, when it comes form a company that you are already aware of, because you never know when you will need the information (offers, discounts e.t.c.) provided. The basic principle of email marketing is that we DO NOT send any newsletter to people who did not subscribed for it. The question raising at this moment is that. How can I build a list of recipients? The most common answer to this question is, through the company’s website where you can urge people to sign for your newsletter. You can also use social media, in many different ways. An attractive fan page will induce users to visit your website and sign for your newsletter. You can also incorporate a Facebook application (game or competition) to your fan page. In terms and conditions of the participation of the game or competition is stated that personal data of users will be used for informative purposes by the company. Finally, you can expand your list of recipients, by an attractive and intriguing newsletter. We usually, forward to our friends what is interesting to us. Having a primary list of recipients in our hands, we must create an attractive and intriguing newsletter, announcing a promotional campaign, or an event or just the news of your company. Do not forget that, you stay fresh in the minds of your audience by sending newsletters regularly. In intros.gr, we have the experience to design and develop an attractive newsletter for your company. Intros.gr can provide you the latest e-mail delivery platforms, in order to ensure optimal penetration. Do not hesitate to contact us for any questions on email marketing campaigns or ask for a quote for the design, development, or delivery of your newsletter.